A product with unmatched quality demands an installation of the same. 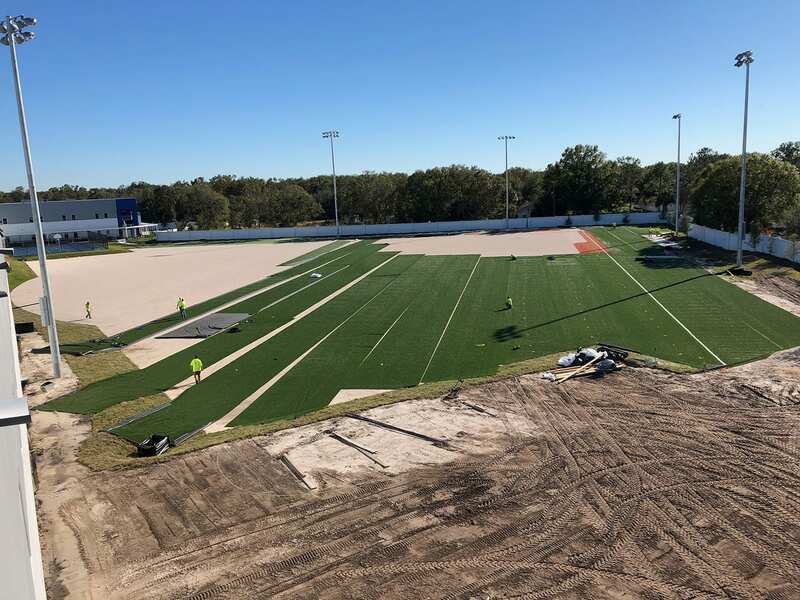 Our experience and expertise has been developed over many years and millions of square feet of synthetic turf installations. We pride ourselves on quality installations done in a timely manner. Our installations are unique and superior for multiple reasons. The heart of this is that we are local. 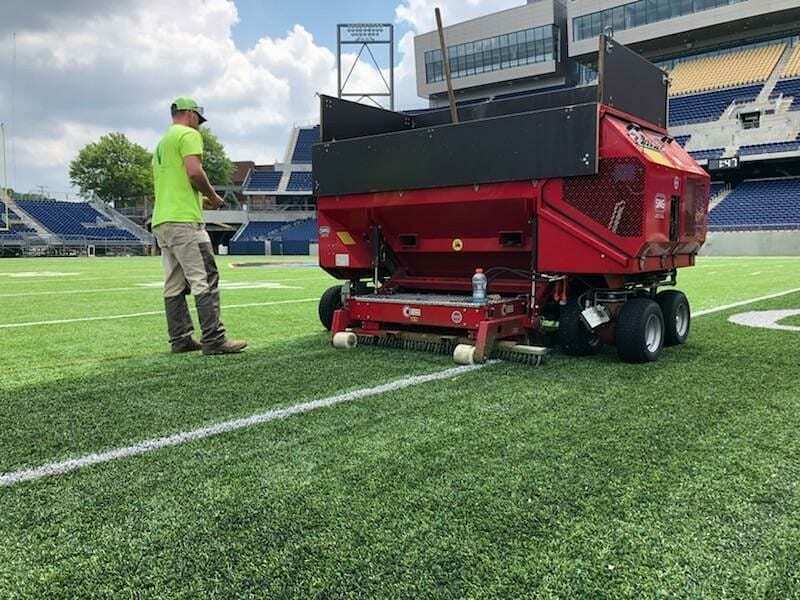 While we have expertise from across the country, the heart and soul of your SportsGrass team is right here in your community. 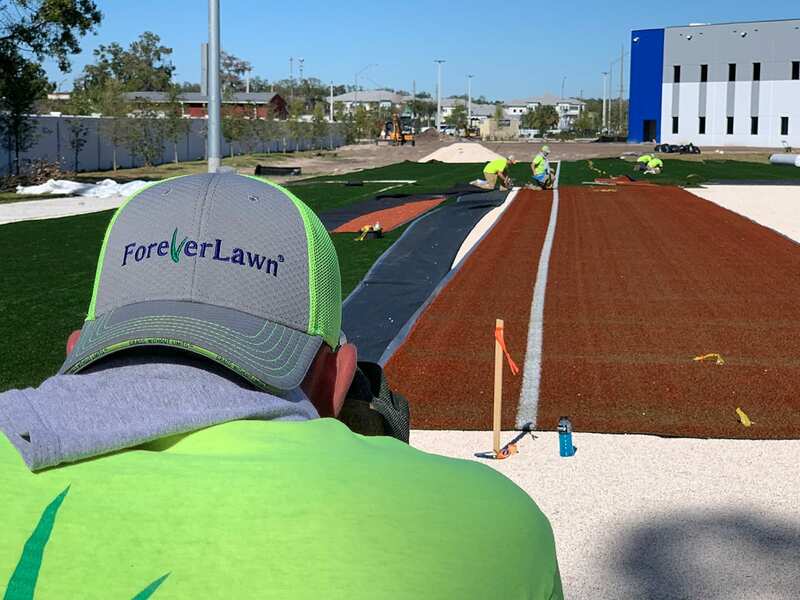 With over 60 locations across the United State, this community connection creates pride of ownership in the field and project that is simply not available from other vendors. We take pride in what we do and provide a level of service and support that will exceed any and all expectations. 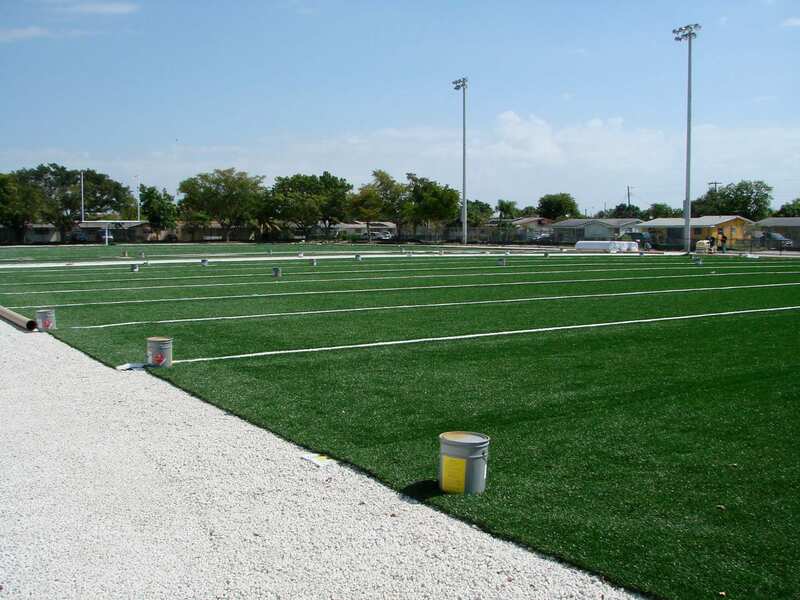 The SportsGrass team uses an installation process that is focused on precision and excellence. While speed of an install may be important, our main focus is providing quality and professional installations. 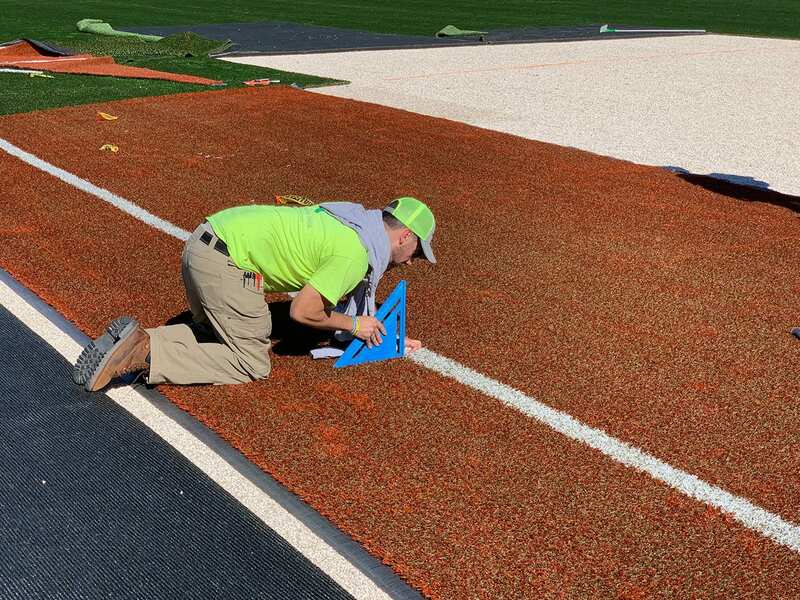 We use a combination of tools (surveyor transits, templates, special cutting tools and more) and methods (multi-point marking, geometric positioning, etc) to create truly straight and true lines. 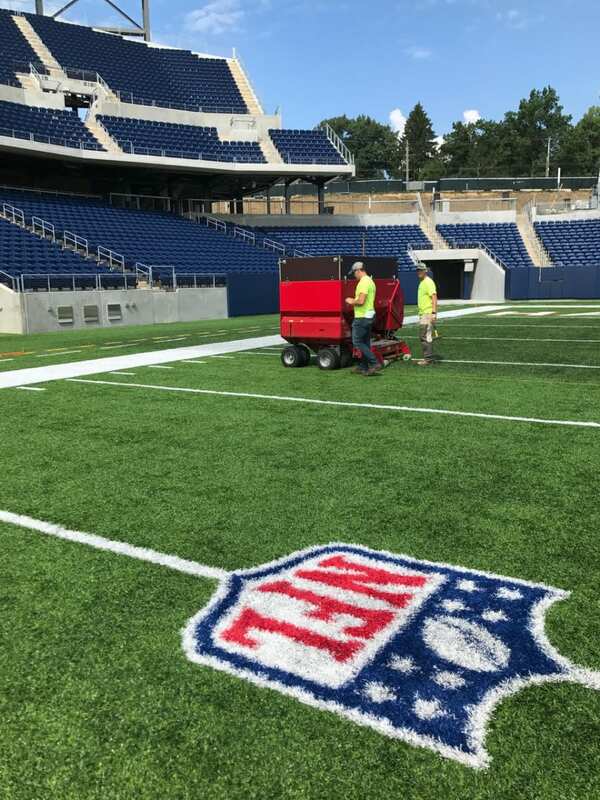 Markings are placed where they belong and the field is exactly how it should be. 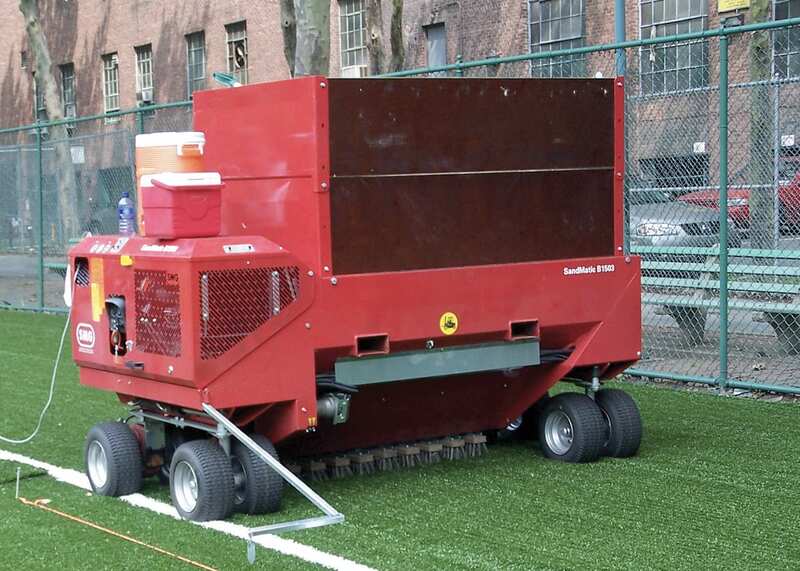 We also use a machine that precisely measures and meters the infill, while grooming the turf with multiple oscillating brush heads so no blades are trapped under the infill. The result is a field with an unparalleled finish and a level of exactness that exceeds all expectations. Not only do these consistently precise fields look good, they add tremendously to player safety and improve player performance. 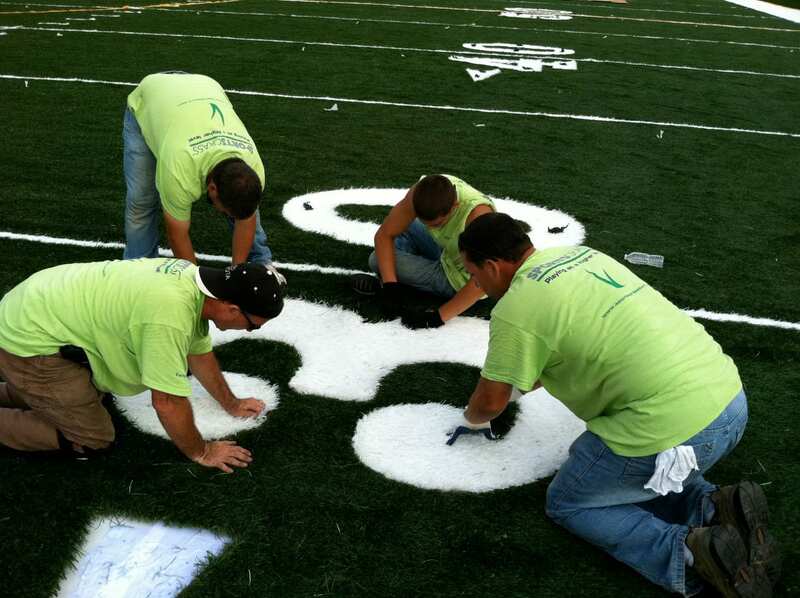 We provide specialty logos, designs, and inlaid lines. Combining a meticulous installation with the highest quality product on the market provides the customer with a level of excellence that cannot be matched in this industry. 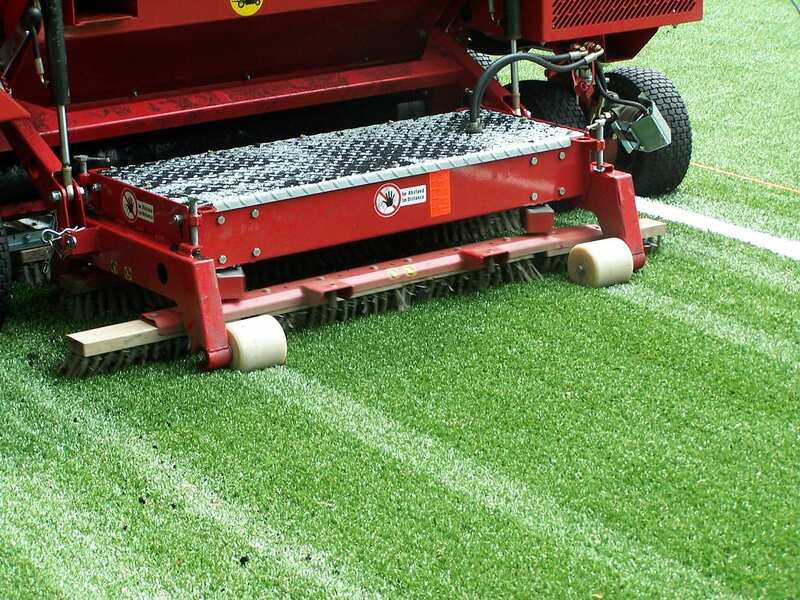 Welcome to the SportsGrass Difference!